It is as hot as it gets in North Central Florida. 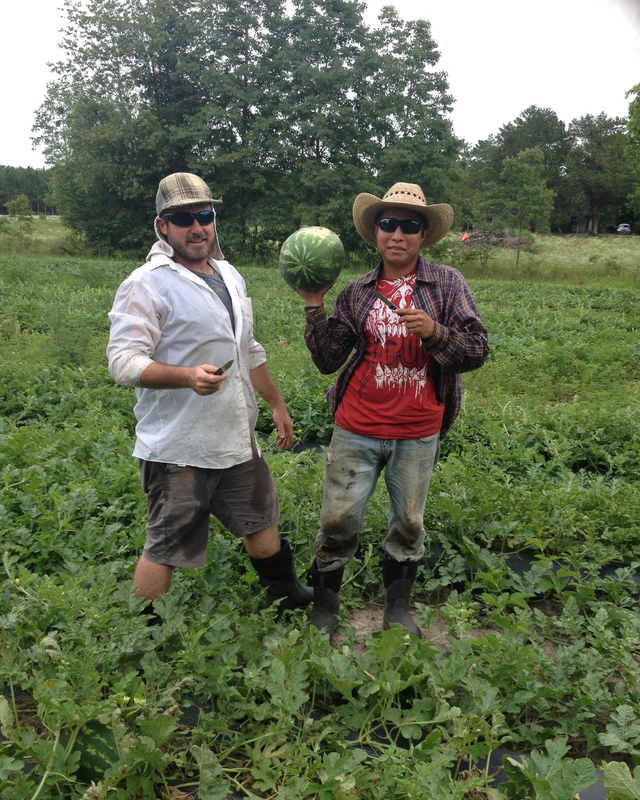 While most farmers are done with their season, their fields planted with cover crops, and most farmworkers have gone north for the summer farm season, Jordan Brown is picking watermelon alongside his workers. It is no easy task getting them to the cooler and ready for grocery store shelves and CSA boxes, each watermelon ranging from 15 to 17 pounds. But at the end of the picking row, refreshing watermelon awaits and everyone can enjoy the fruits of their labor together – farmer and farmworker side-by-side. What is more meaningful to Farmer Brown is knowing that everyone working in the field is treated with respect and paid a living wage. Something that is rare in most American fields where deplorable working conditions continue and family farmers, trying to uphold principles of stewardship for land and people, are experiencing the increasing consolidation of power and market share in the hands of a few corporate food businesses. To Brown, the purpose of farming sustainably was not only to ensure that environmental stewardship is met, but that human decency is upheld to the highest degree. 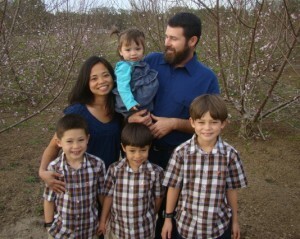 Jordan Brown has been farming for eight years on his 25-acre farmland in Bell. 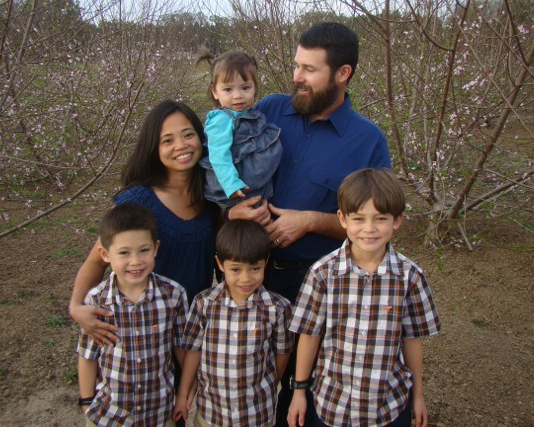 His farm, The Family Garden, has staked their commitment to social justice by meeting the gold standards for domestic fair trade through Food Justice Certification (FJC). 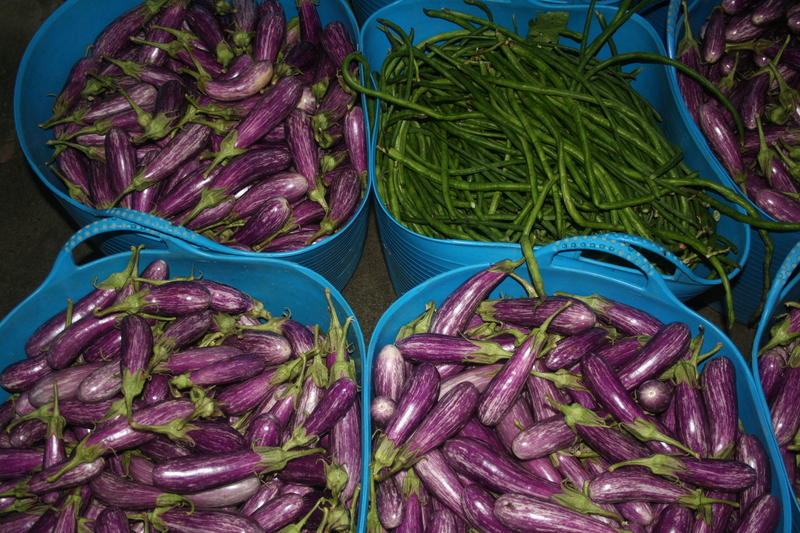 Jordan’s produce is 100% Organic and 100% Food Justice Certified through third party verification programs. Visit Ward’s Supermarket or Citizens Co-op in Gainesville to buy The Family Garden watermelons this season! The Family Garden also sells to Global Organics who distribute fresh produce to the greater southeast region, Fresh 24 Market in Orlando, Homegrown Organics serving Gainesville and Ocala areas and Local Fare Farm Bag North serving the greater Jacksonville area. You can also support fairness in the food system by visiting your local restaurants and requesting dishes made with Food Justice Certified ingredients! In Gainesville, that includes: The Top and Civilization restaurants. The Agricultural Justice Project aims to bridge the gap between environmental stewardship of the land to include stewardship of the people who work the land and bring the food to our tables. 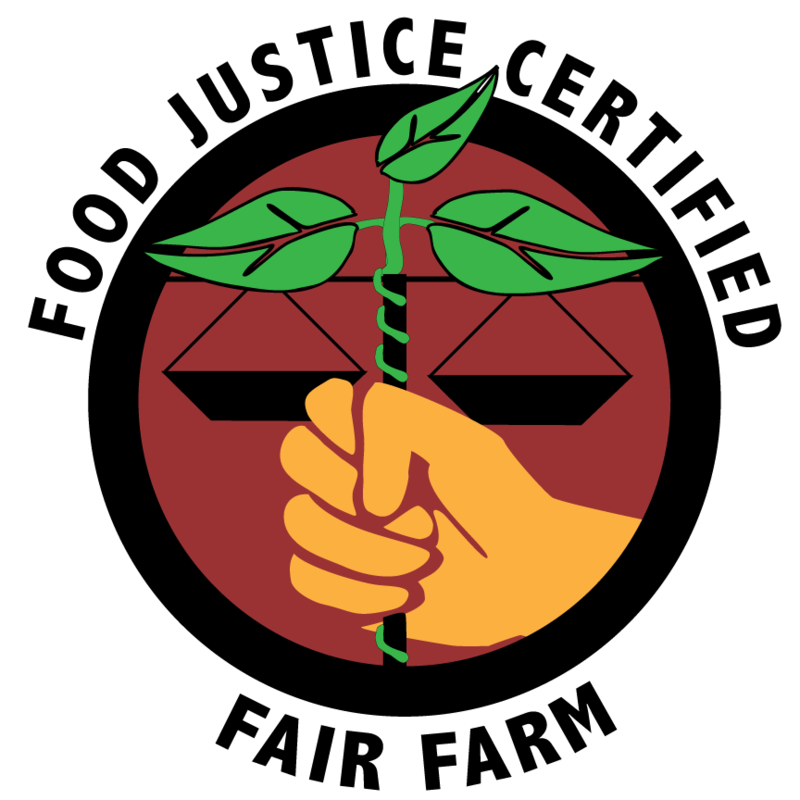 Food Justice Certified is unique as it is the only third party verification program to cover U.S. farmworkers and farmers, as well as other food system workers working in distribution centers, grocers, manufacturing – all links of the supply chain from farm to table. 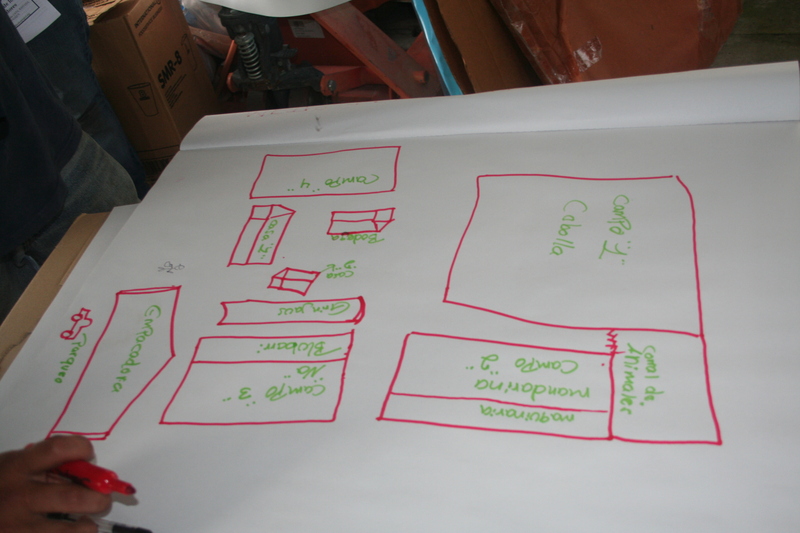 Standards and the verification process for the Food Justice Certified label were stakeholder developed and included farmers and farmworker representatives in a consensus-style governance structure. It is also uniquely a collaborative program that recognizes that improving conditions for farmworkers in the U.S. needs to include improving the terms farmers receive in selling goods. For further information about the Agricultural Justice Project or Food Justice Certification, visit www.agriculturaljusticeproject.org. 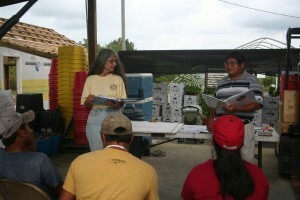 As part of preparing for the Food Justice Certification, farmworkers at The Family Garden farm receive training from the Farmworker Association of Florida on their rights under the law and under the Food Justice Certification. On an overcast day in October on a farm in north central Florida, a farmer gathered his workers to teach them about the important role they play in the success of the farm; and their right to safe working conditions, just treatment, and fair compensation. The Family Garden, a certified organic farm owned by Jordan Brown, is working toward becoming the first Food Justice Certified farm in the southeastern United States. When we buy food in the store it is too easy to not think about the conditions forced upon those who worked the land and harvested the food. Food Justice Certification ensures that farmworkers are treated fairly and know what their rights are legally and what their employer has committed to do above and beyond the law. “As my workers and I learned together about AJP’s social justice standards, I became even more sure that I had made the right decision for my farm and the people who work alongside me and my family here,” said Brown. Farmworker is one of the most dangerous occupations and health and safety training is one essential piece to treating farmworkers fairly and having an highly participatory training style increases ownership by farmworkers of their role in safety on the farm. Conducted in Spanish, the training taught Brown and his workers about cooperation, collaboration, openness and transparency in their dealings with each other. They also learned about their rights and responsibilities under U.S. laws and the more stringent AJP standards. To learn more about the Agricultural Justice Project’s Food Justice Certified Program, visit www.agriculturaljusticeproject.org. Thursdays at University of Florida campus CSA pick up. Click here for more info about joining the CSA for next season. Saturday morning 441 farmer’s market. Wards Grocery and Citizen’s Co-op. Various restaurants around town including Tempo Bistro, Civilization, and The Top.